Lamar Odom – Traded to LA Clippers for cash considerations. Odom is headed back to the Clippers in a four team trade. Mo Williams – Traded to Utah Jazz for Furkan Aldemir. Chase Budinger – Traded to Minnesota Timberwolves for Terrence Jones. Gerald Wallace – Resigns with Brooklyn Nets for 4 yrs, 40 million. Omer Asik – Signs with Houston Rockets for 3 yrs, 25.1 million. Andre Miller – Resigns with Denver Nuggets. George Hill – Resigns with Indiana Pacers for 5 years. Darius Morris – Resigned with LA Lakers. 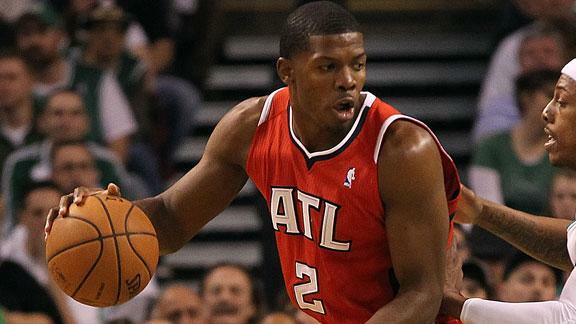 Joe Johnson – Traded to Brooklyn Nets for Jordan Williams, Johan Petro, Jordan Farmar, Anthony Morrow and a protected 1st round pick. Johnson was traded to Brooklyn for 5 players and a future 1st round pick. Devin Harris – Traded to Atlanta Hawks for Marvin Williams. Landry Fields – Signed a 3 yr deal with Toronto Raptors. Jason Terry – Signed a 3 yr deal with Boston Celtics. Terry will replace the sharp shooting Ray Allen in Boston. Reggie Evans – Signed with Brooklyn Nets for 3 yrs, 5 million, Clippers receive a 2nd rd pick. Deron Williams – Resigned with Brooklyn Nets for 5 yrs, 100 million. After resigning for 5 yrs, Williams is the point guard in Brooklyn for the future. James White – Signed veteran minimum deal with New York Knicks. Spencer Hawes – Signed a 2yr, 13 million deal with Philadelphia 76ers. Steve Nash – Signs with LA Lakers for 3 yr, 25 million, Suns receive 2013 1st and 2nd round picks, 2014 2nd round pick and 2015 1st round pick. These two all stars with now share a back court in Tinseltown. Michael Beasley – Signs with Phoenix Suns for 3 yrs, 18 million. Hasheem Thabeet – Signs with Oklahoma City Thunder for 2 yrs. Goran Dragic – Signs with Phoenix Suns for 4 yrs, 30 million. Kyle Lowery – Traded to Toronto Raptors for Gary Forbes and a lottery protected first round pick. Lowery will be the new point guard in Toronto next season. Chauncey Billups – Resigns with LA Clippers. Jamal Crawford – Signs with LA Clippers. Jameer Nelson – Resigns with Orlando Magic for 3 yrs, 20 million. Brandon Bass – Resigns with Boston Celtics for 3 yrs. Jeremy Evans – Resigns with Utah Jazz for 3 yrs, 5.5 million. Brandon Roy – Signs with Minnesota Timberwolves for 2 yrs, 10 million. Roy will make a comeback with the T-Wolves. Nick Young – Signs with Philadelphia Sixers for 1 yr, 6 million. Jason Kidd – Signs with New York Knicks for 3 yrs, 9 million. Kidd is heading to the big apple to back up Jeremy Lin. 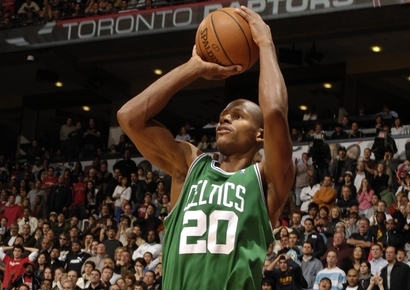 Ray Allen – Signs with Miami Heat for 3 yrs, 9 million. Allen will join the Big 3 in Miami. Jeff Green – Signs with Boston Celtics. Ersan Ilyasova – Resigns with Milwaukee Bucks for 5 yrs, 45 million. Kirk Hinrich – Signs with Chicago Bulls for 2 yrs. Ryan Anderson – Traded to New Orleans Hornets in sign and trade for Gustavo Ayon. Anderson will sign for 4 yrs, 35 million. After winning the Most Improved Player award, Anderson is now headed to New Orleans. Darrell Arthur – Resigns with Memphis Grizzlies for 2 yrs, 10 million. Roy Hibbert – Resigns with Indiana Pacers for 4 yrs, 58 million. After it was thought Hibbert was going to Portland, Indiana matched and he will continue to be a Pacer. Steve Novak – Resigns with New York Knicks for 4 yrs, 15 million. Marcus Camby – Traded to New York Knicks for Toney Douglas, Josh Harrelson and Jerome Jordan. Danny Green – Resigns with San Antonio Spurs for 3 yrs, 12 million. J.R. Smith – Resigns with New York Knicks for 2 yrs, 4.8 million. Boris Diaw – Resigns with San Antonio Spurs for 2 yrs, 9 million. Tim Duncan – Resigns with San Antonio Spurs for 3 yrs. Duncan is living up to his promise of being a life long Spur. Devin Ebanks – Resigns with LA Lakers for 1 yr deal. Rashard Lewis – Signs with Miami Heat for 2 yrs. Louis Williams – Signs with Atlanta Hawks. Williams will spend 2013 playing for his hometown Hawks. D.J. Augustin – Signs with Indiana Pacers. Alonzo Gee – Resigns with Cleveland Cavaliers. Gerald Green – Signs with Indiana Pacers. Luke Harangody – Resigns with Cleveland Cavaliers. J.J. Hickson – Resigns with Portland Trail Blazers. Brendan Haywood – Amnestied by Dallas Mavericks. Darren Collison – Traded to Dallas Mavericks with Dahtay Jones for Ian Mahimi. Collison could be the Mavericks starting point guard this season. Chris Kaman – Signs with Dallas Mavericks. Brook Lopez – Resigns with Brooklyn Nets for 4 yrs, 60 million. Unable to land Dwight Howard, Brooklyn locked up Brook Lopez. Cartier Martin – Resigned with Washington Wizards. Darko Milicic – Amnestied by Minnesota Timberwolves. With Nash now in LA, Sessions will run the point in Charlotte. Kyle Singler – Signs with Detroit Pistons. Mirza Teletovic – Signs with Brooklyn Nets. Jason Thompson – Resigns with Sacramento Kings. Kwame Brown – Signs with Philadelphia 76ers. Patty Mills – Signs with San Antonio Spurs. Kyle Korver – Traded to Atlanta Hawks for cash considerations. Elton Brand – Claimed by Dallas Mavericks in amnesty bid. Kevin Garnett – Resigns with Boston Celtics for 3 yrs. Garnett will be finishing his career in Boston. Eric Gordon – Resigns with New Orleans Hornets for 4 yrs, 58 million. Slava Kravtsov – Signs with Detroit Pistons. Brendan Haywood – Claimed by Charlotte Bobcats in amnesty bid. C.J. 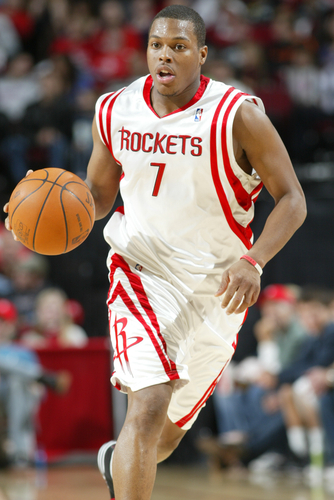 Watson – Signed by Brooklyn Nets for 2 yrs. Raymond Felton – Traded to New York Knicks for Jared Jeffries and Dan Gadzuric. Felton will be running the point in MSG this season. Luis Scola – Claimed by Phoenix Suns in amnesty bid. James Johnson – Traded to Sacramento Kings for second round pick. 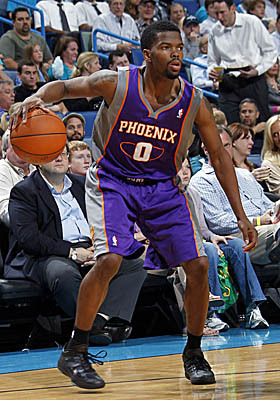 Aaron Brooks – Signed by Sacramento Kings. Brooks will be a King next season. The Heat took game one of this series 93-79, behind 32 points from the MVP LeBron James. The Celtics will have trouble in this series due to the fact that their older legs are tired after being challenged by the younger Hawks and Sixers in long series. Boston will have the inside advantage in this series if Chris Bosh misses most of this series, because Kevin Garnett has found the fountain of youth this postseason. Mario Chalmers will have his hands full with Rondo and his ability to control the game and Ray Allen or Mickael Pietrus will have to try to slow Dwyayne Wade all series, which is practically impossible. The speed and youth of the Heat will be too much for the old, tired legs of the Celtics. LeBron made a statement scoring 32 points in a Game 1 Heat win on Monday. The Bulls win Saturday afternoon was bitter-sweet. After soundly beating the Sixers for 40 some minutes, a Derrick Rose drive to the basket may have changed their title chances. 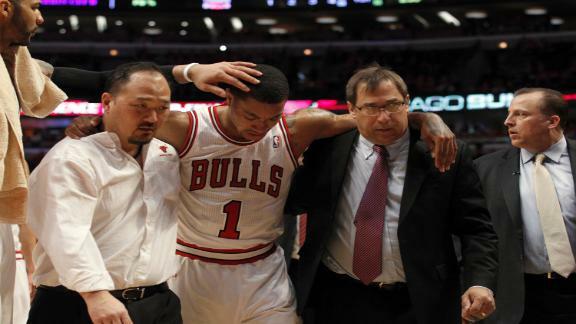 Rose injured his left knee and needed to be helped off the court by his teammates. 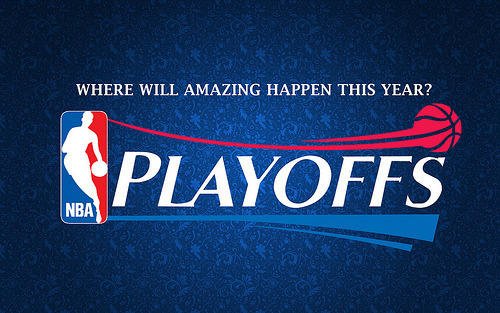 After undergoing an MRI, it was found that he had torn his ACL and will be done for the playoffs. 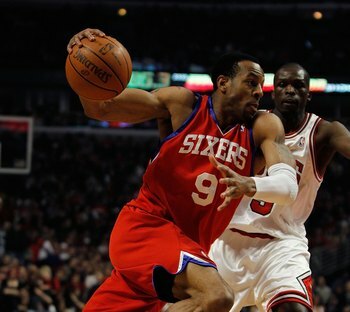 Rose was not only the floor leader for this team but also their best scoring option. Although they still have plenty of weapons to compete and win playoff series, not having him against the Heat could be a crushing blow to their title hopes. Rose averaged 22 points and 8 assists this season. After taking home the MVP last year, Rose was looking for some bigger hardware this season. 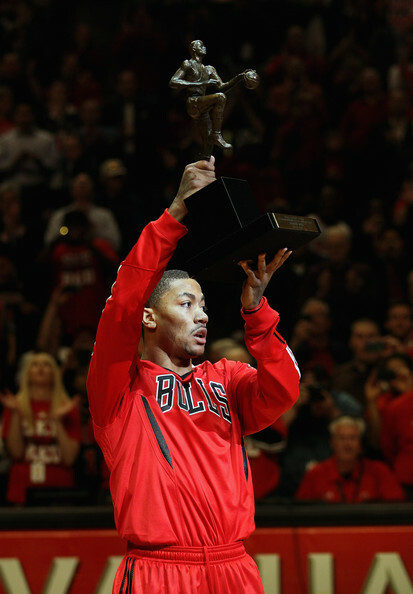 Unfortunately this will be the last sight Bulls fans will have of Rose for the year. Despite being without their start point guard for a portion of the year, the Bulls were able to grab the NBA’s number one seed. The Sixers have been up and down all year, but Doug Collins has done a decent job. The inside presence of Joakim Noah and Carlos Boozer could be too much for Elton Brand and the combination of Spencer Hawes and Nikola Vucevic. The off-season addition of Richard Hamilton could pay big dividends, as his shots off screens could be an issue for the Sixers defense. The Andre Iguodala-Luol Deng match up will be fun to watch, as Deng has quite a bit of range and Iguodala is one of the best defenders in the league. Both teams have sharp shooters in Kyle Korver and Jodie Meeks off their bench, but Thaddeus Young could be the x-factor for the Sixers. The Iguodala-Deng matchup will be fun to watch. Larry Brown has returned to coaching again. He has been hired as the new Southern Methodist head coach. Brown hasn’t coached since 2010 when he led the Charlotte Bobcats to the playoffs. He began coaching in college with Davidson, then spent time at UCLA and Kansas. In the NBA, he coached the Nets, Spurs, Clippers, Pacers, 76ers, Pistons and Knicks. L.B. has 1,098 NBA wins, a National Championship with Kansas in 1988 and a NBA Title with the Detroit Pistons in 2004. Brown has his work cut out for him, SMU was 13-19 overall and 4-12 in Conference USA last year. 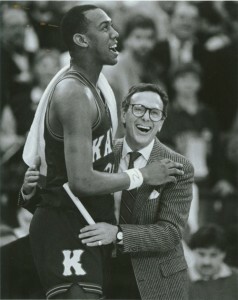 The last time Brown coached in the NCAA he won an NCAA Title with Kansas in 1988.